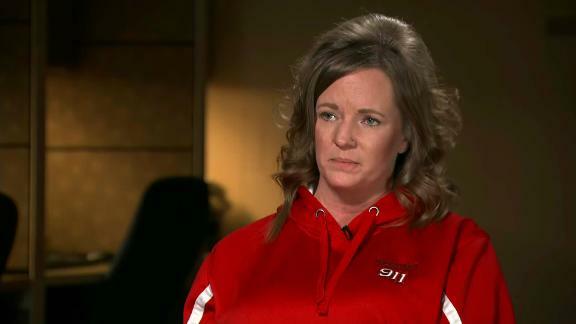 Amy Pullen, a 911 dispatcher in Douglas County, Wisconsin, recalls what it was like realizing that, after weeks of searching, Jayme Closs was found alive. Watch Amy Pullen's full interview on HLN's "88 Days of Terror," airing Friday at 2:30 p.m. ET. When Amy Pullen went to work last week, the Douglas County, Wisconsin, 911 dispatcher had no idea she'd answer the call that would bring an end to weeks of searching: Jayme Closs had been found. 'It's definitely going to be one that you never forget,' Pullen said of the call, which came last Thursday after Jayme escaped the residence of her alleged abductor, Jake Thomas Patterson. Finally, after 88 days, Jayme fled the house while Patterson was out and approached a woman walking her dog, Jeanne Nutter. She took Jayme to Kasinskas' home. Kasinskas and Nutter then relayed information about Jayme's condition and her alleged abductor to the 911 dispatcher, such as his name and a description of his vehicle. Pullen said she didn't feel like she could relax until Patterson had been arrested. She didn't have to wait long. He was taken into custody by a patrol officer who saw a vehicle that matched the description. 'Nothing has ever affected me like this before,' she said, but she doesn't feel she did anything that any of her colleagues wouldn't have done. She just did her job.